Thousands of Americans will turn in their blue passports in the next few months. Some because of our crazy political climate, some to stop paying taxes into a broken system, and some because of FATCA and the international banking laws which make it impossible to live or do business abroad. This post will consider what happens to your IRA when you give up your US citizenship or expatriate from the United States. Whatever your reason for giving up your US citizenship, you need to carefully plan the expatriation process. It’s be fraught with risks, costs, and problems for high net worth individuals. First, let me define who is a “high net worth expatriate.” The IRS only cares about losing high earners and payors. They could give a damn about the rest of us. When I consider what happens to your IRA when you give up US citizenship, I am referring only to this group high net worth expatriates. Fails to certify on Form 8854 that you have complied with all U.S. federal tax obligations for the 5 years preceding the date of your expatriation or termination of residency. So, the question more properly framed is, what happens to your IRA when you give up your US citizenship or expatriate and you are a covered person? High net worth covered persons pay tax as if their IRA was fully distributed to them on the day they expatriate. The early distribution penalty does not apply. The only published information from the IRS is Notice 2009-85. The discussion of specified tax deferred accounts Section 6 of this notice. Note that the covered person is treated “as having” received a distribution. This is not the same as having your IRA account cancelled or closed. 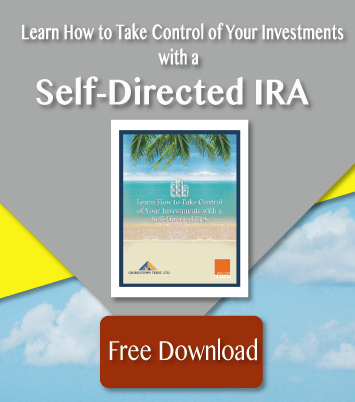 In fact, you have the option of continuing your IRA after giving up your US citizenship. If you were to close your account and take a distribution, you’d be liable for the early distribution penalty. If you close your IRA as part of giving up US citizenship before reaching 59 1/2, you will pay a 10 percent early withdrawal penalty in addition to income tax on the amount withdrawn. If you decide to keep the IRA open after expatriating, you’ll pay US tax when you take distributions from the account, presumably at age 70 ½. This tax will be calculated only on appreciation in the account from the date of expatriation. That is to say, a covered person will pay US tax on all the gains in her account on the day she gives up her US citizenship. Then she’ll will pay US tax on the gains earned in that account after expatriating when she take the required distributions. The IRA remains intact. All you did is “prepay” your US taxes on the account. For example, you have $100,000 in your IRA on January 1, 2017 when you give up your US citizenship. You pay tax on this $100,000 on January 1, 2017 . You decide to keep the account open after expatriation and begin taking distributions 5 years later, in 2022. As of January 2022, your account is valued at $130,000. You will pay tax on the gain of $30,000 as you take these distributions. Considering you will remain linked to the US tax system after expatiating through your IRA, you would have to be facing a very large early distribution penalty for it to make sense to keep an IRA open. If you’re a 45 year old doctor who rolled a two million dollar defined benefit or profit sharing plan into an IRA, then you might keep the account going. If you have $150,000 in your IRA, pay the 10% penalty and be done with it. I hope you have found this article on what happens to your IRA when you give up US citizenship to be helpful. The bottom line is that 95% of us should close our accounts and be done with the IRA. Only those facing large early distribution penalties should consider keeping their account open. For more information on how to give up your US citizenship, and how to expatriate from the United States, please contact me at info@premieroffshore.com. All consultations are free and confidential. Keep in mind that the first step in giving up your US citizenship is to get a second passport. Until you have a second passport in-hand, you can’t burn your blue passport. For ideas on where to buy a passport, see my article: 10 Best Second Passports.